Personal loan approval is quick. As compared to 3-4 weeks for home loan processing, personal loan takes much less time. As a result, they are the best bet for meeting your urgent cash or payment needs. If your credit history is strong (CIBIL score of more than 750+) then lenders will not have a problem in approving your personal loan application. Personal loans are unsecured. You need not provide an asset as a collateral for getting a personal loan. This is one of the most attractive reasons why people go for personal loans. However, keep in mind that lenders will charge a higher rate of loan interest precisely because it is unsecured from any risk. The lenders charge a higher rate of interest to protect the money they will be lending to you. Typically the interest rate for these interest loans varies between 14% and 16%. If you are okay with their repayment terms, EMI, and rate of interest, then you can definitely go for a personal loan. Be it for an iPhone purchase, a Swiss holiday, or for home refurbishing, a personal loan will easily help you go for your dream purchase in quick time. The lender will not ask you for the purpose of obtaining the loan. Nor will the loan be needed to be used for just one specific purpose (for example a home loan can be used only for real estate purchase). This flexibility ensures that it becomes an attractive financing option for borrowers for a wide range of uses. If you hold one or more credit cards you will be aware of the high interest rates that banks charge. Generally, the rate of interest varies between 24% and 30% per annum. As a consequence, people look for personal loans to pay off their credit card debts. If you hold multiple credit cards, it is recommended to go for card consolidation first and then opt for a personal loan. This way you will maintain your sanity when you tackle multiple loans at the same time. 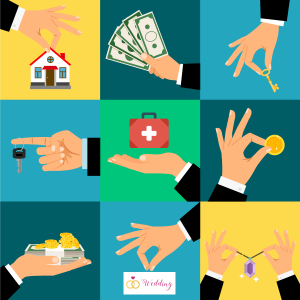 Nowadays, NBFCs and apps like Money View offer personal loans in addition to traditional banking systems. This means more options for the customers to explore and assess. Moreover, in order to improve their records, they provide personal loans at terms which are more attractive than banks (lower rate of interest, smaller fines etc.) Both NBFCs and banks offer personal loans in the range of Rs. 50,000 to Rs. 15 lakhs (this may go higher if the loan borrower has a strong credit rating history and repayment capability). Ensure that your repayment is well within your means. Be clear about the terms, tenure, and interest rates. Check if you can separate the ‘needs’ from ‘wants’ when you go for a personal loan. Compare interest rates from reliable fintech companies or bank websites. 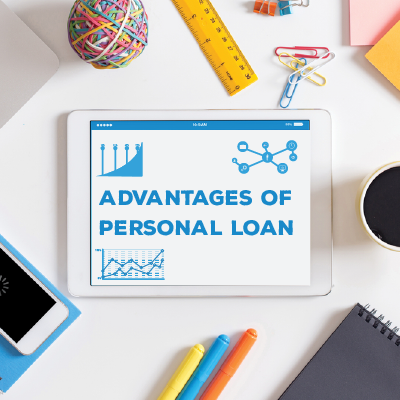 These above-mentioned benefits of personal loan depict why going for a personal loan can help you with ready cash made available at the right time to meet urgent expenses.